- The author preserves for posterity's sake this vibrant tradition of wall painting that is an integral part of the country's representative art forms - The author has painstakingly collected images from temples, palaces, havelis, mansions, schools and houses during his extensive travels in Gujarat and Rajasthan The Legend of Krishna in Wall Paintings of Gujarat and Rajasthan is a comprehensive documentation of the Krishna theme in an art form that is now on the verge of extinction. The exploits of Krishna have been and continue to be a great source of inspiration for the Indian artist. 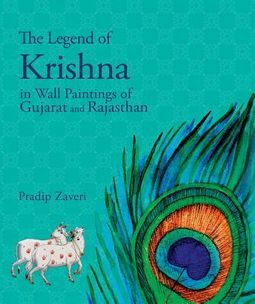 The author Pradip Zaveri has painstakingly collected images from temples, palaces, havelis, mansions, schools and houses during his extensive travels in Gujarat and Rajasthan. 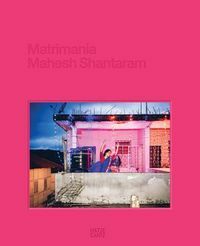 This book explores the Krishna myth in its historical and cultural context.This collection essentially tells the story of Krishna's life as a child and then moves on to his adolescence as a cowherd, followed by his romantic dalliances. It includes paintings that illustrate the deeds of Vishnu and his other avataras. These wall paintings provide detailed glimpses of the social and cultural life of the people. 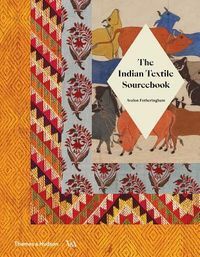 In this book Pradip Zaveri preserves for posterity's sake this vibrant tradition that is an integral part of the country's representative art forms. Contents: Preface; The Background - Rise of Vaishnavism; Introduction; History; Krishna and the Indian Tradition; Bhakti Movement - Bhakti Trend in the Medieval Period and its Influence on the Society, Vaishnavism and Bhakti in Gujarat: Bhakti Movement, Vallabhacharya and Saint Poets, Vallabhacharya; Krishna in Murals of Gujarat and Rajasthan - Shekhavati Paintings. Decline of the Art of Wall Painting. Places in Rajasthan Explored for Documentation on Krishna Theme, Places in Gujarat Explored for Documentation on Krishna Theme; Depiction of Krishna in Wall Paintings; Nathdwara School of Painting and Influence of Pushti Mar - Use of Symbolism in Painting Influenced by Pushti Marg; Murals in Medieval Period of Gujarat and Rajasthan; Krishna in Folk and Decorative Arts - Depiction of Krishna in Decorative Arts; The Legend - Events Leading to Krishna's Birth. - Events during the Birth of Krishna. Birth of Krishna, Celebration in Braj; Feats and Leelas of Krishna - Killing of Demons, Calf Demon Vatsasura attempts to Kill Krishna. Krishna Slays the Horse-Demon Kesi; Makhanchor: Krishna Stealing Butter, Krishna Denying He Stole Butter; Release of Gandharvas; Krishna Gopala: Pastoral Life of Krishna; Daanleela: Demand of Toll; Kaliya Daman: Quelling of Serpent Kaliya; Worship of Mount Govardhana - Lifting of Mount Govardhana; Gopi Vastraharan: Krishna Stealing Clothes of Gopis; Krishna Plays Holi with Gopis - Holi in Riti Kaal Poetry where Krishna is envisaged as a Nayaka; Krishna Radha; Venu Gopala: Krishna the Flute Player; Raasleela; Events Before Krishna Slaying Kansa - The Wrestling Match, Krishna slays Kansa; Rukmini Vivah: Wedding of Rukmini with Krishna; Krishna and Sudama; Draupadi's Chirharan: Forceful Disrobing of Draupadi - Vishnu and His Incarnations, Matsya (Fish) Avatara, Kurma (Tortoise) Avatara, Varaha Boar); Avatara - Narsinha (Man Lion) Avatara, Vamana (Dwarf) Avatara, Parasurama Avatara, Rama Avatara, Balarama Avatara, Buddha Avatara, Kalki Avatara; Samudramanthan: Churning of the Ocean; Gajendra Moksha: Liberation of Gajendra, An Elephant King; Weighing of Krishna; Nava-Nari Kunjara: Krishna Astride an Elephant Formed by a Group of Gopis; Premanand and Okhaharan; Endnotes; Glossary; Glossary Saint/Poets; Conclusion and Acknowledgements.